The world's many bodies of water hold plenty of dangers and not all of them are natural. According to the Defense Advanced Research Projects Agency (DARPA), the seas of the world offer endless opportunities for "adversaries of the United States [to] maneuver undetected." Keeping tabs on these difficult-to-detect threats is no small task but DARPA may have an unconventional solution - using "marine organisms" to detect and signal when "activities of interest" occur in key parts of the world's oceans. Put simply, this means DARPA may be looking to hook up fish with sensor systems to detect threats. This may sound like a joke at first but the organization is quite serious. DARPA's new Persistent Aquatic Living Sensors (PALS) program, led by Lori Adornato, will soon be studying "natural and modified" organisms to find out whether or not such a concept is possible. 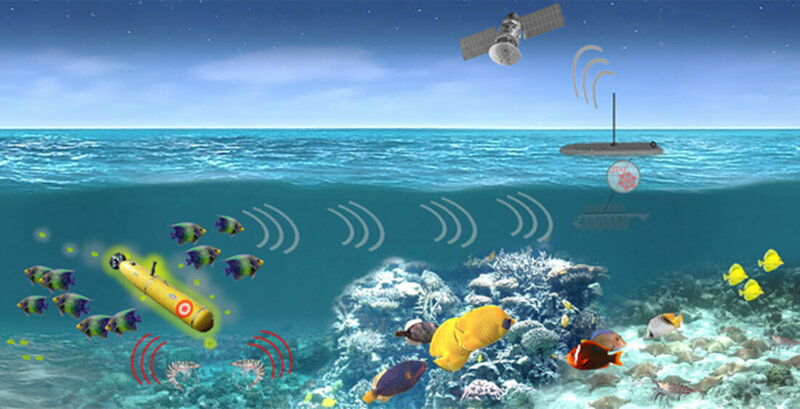 DARPA is particularly interested in using sea life to sense threats due to many marine organisms' existing ability to sense stimuli across electrical, magnetic, chemical and optical "domains." "Performer teams supporting DARPA will also have to develop hardware, software, and algorithms to translate organism behavior into actionable information and then communicate it to end users," DARPA's announcement reads. "The complete sensing systems must also discriminate between target vehicles and other sources of stimuli, such as debris and other marine organisms, to limit the number of false positives." If this technology does become a reality, it won't happen anytime soon. According to DARPA, the PALS program is planned to take place over four years and will require research contributions from biologists, chemists, mechanical engineers and physicists.